A tablet-based game let fans race against time and each other to guess songs. Among the summer’s biggest festivals is the Country Music Association’s CMA Fest in Nashville, which took place June 7-10, and entertained more than 300,000 consumers with an expo, festival experiences, outdoor stages and concert. 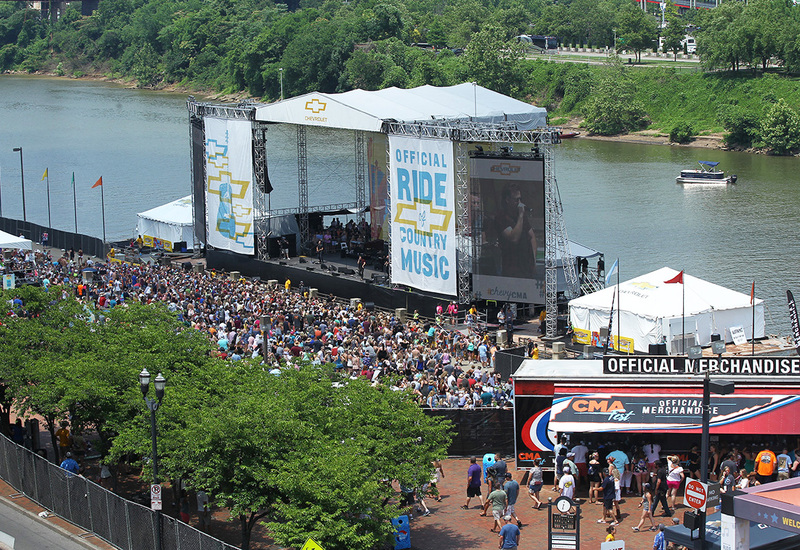 As the official ride of the fest, Chevrolet engages fans across three activations including the Chevy Breakout Stage at Walk of Fame Park, the Chevrolet Riverfront Stage and the Catch-a-Chevy ride-sharing service throughout Nashville. 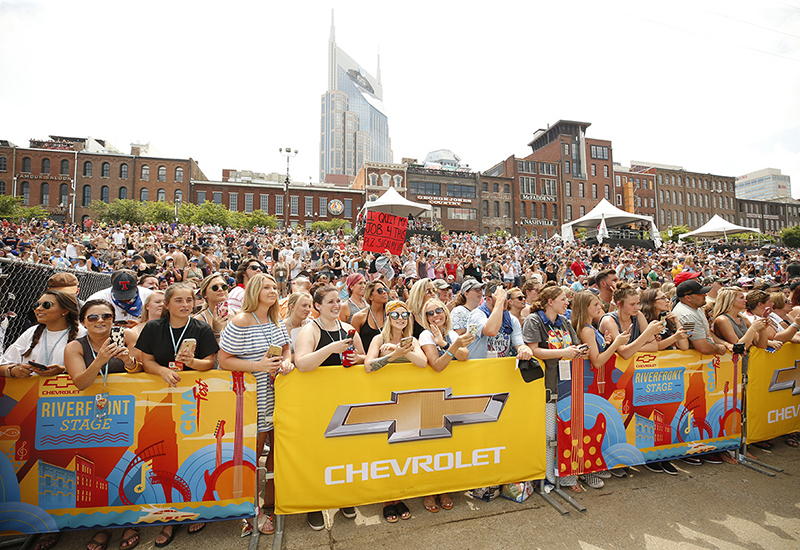 We caught up with Steve Haener, senior manager-Chevrolet media operations, experiential marketing and brand partnerships, at General Motors, to talk about this year’s CMA Fest strategy. Here, four insights on how the brand evolved its program in Nashville this year. The Chevy Breakout Stage at Walk of Fame Park features emerging artists in country music, helping consumers to discover new artists and expand their country music repertoire. This year, Chevy added the Chevy Breakout Gallery activation in the park that featured memorabilia and personal items, like hand-written lyrics, album art and instruments, provided by the artists playing on stage. “This was our attempt to get consumers and fans to know these artists better, and help give these artists additional exposure,” Haener says. At the Chevy Riverfront Stage, between acts fans engaged in a 10-second trivia game that allowed participants to compete against artists by answering trivia questions on stage. At the end of the game, two trivia players were surprised by country music superstar Luke Bryan, who presented Chevy suite tickets to his performance. The official video, filmed by Chevy for social media, went viral generating more than 200,000 views within the first 12 hours. “We’ve done things where we’ve surprised fans in the past. With this, there wasn’t a huge crowd watching live—it was more custom-built for the social media audience—but it had on-site impact as well. You could hear the crowd as he started walking onstage behind our guests that received the tickets, and you could feel the energy and excitement among fans seeing a star of his caliber come out on the Riverfront Stage,” Haener says. 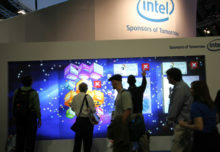 This year, Chevy installed interactive displays within its sponsorship footprints, like at the Walk of Fame Park, that helped consumers discover offerings surrounding Chevy vehicles while having fun. These included the Country Lyric Challenge, a tablet-based game where consumers raced against time and each other to guess songs (written in emojis), while connected to 4G LTE wi-fi technology in the Chevy Traverse. 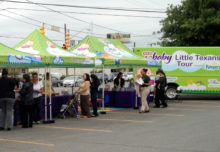 Other activities included a photo activation that helped demonstrate the Chevy Equinox 360-degree backup camera. Across the festival landscape in Nashville, Chevy offers the Catch-a-Chevy program, where the brand releases a fleet of vehicles that provide complimentary rides for fans around town. On top of free rides, Chevy provides shaded zones near its stages as cooling-off points for fans. “We try to put ourselves in the shoes of the fans, and how they experience the festival and how we can be additive to the experience and enhance the experience,” Haener says. Agency: Jack Morton Worldwide, Detroit. Chevy entertained more than 300,000 consumers with an expo, festival experiences, outdoor stages and concert.